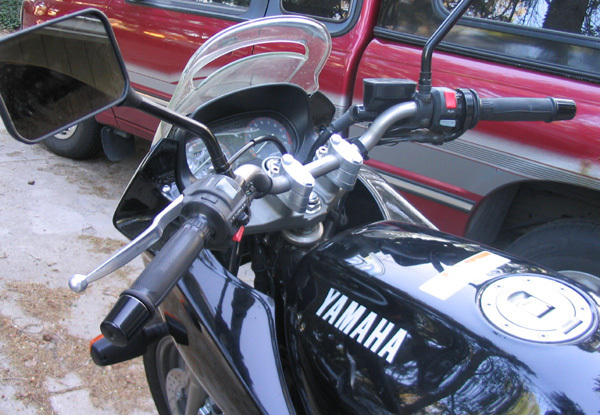 Advanced Motorcycle Products has two types of bar risers that will fit the Yamaha XJ600S series of bikes. 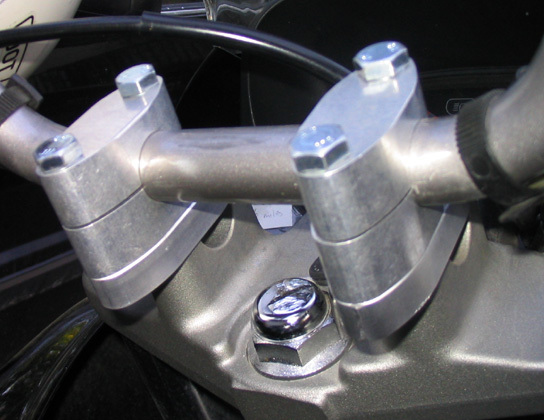 The second type of bar risers that fit the XJ600S are the zero offset type that provide 1.25 in of rise to the bars. 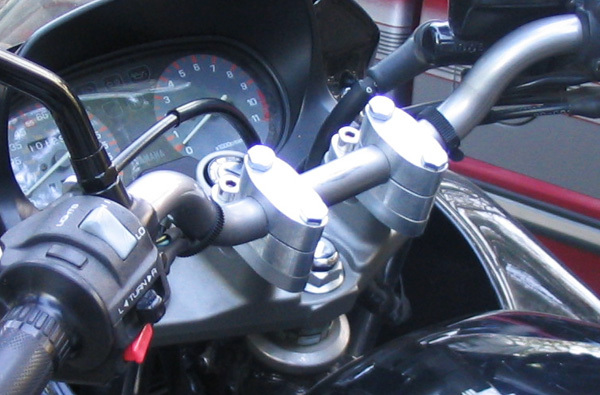 No relocation of instrumentation is necessary if the bar risers are mounted with the offset facing rearward. You were right - they fit perfectly and work great! They arrived in today's mail and I installed them this evening - just got back from a test ride. The hoses & wires were just long enough to move the bars back to the first position. I'll take some photos tomorrow and send your way. Thanks for a great deal and fast service!